The real estate market has started to steadily recover, but buyers are still showing a bit of caution. It isn’t impossible to sell your home quickly, but it takes a bit of education and effort. You need to go the extra mile. A realtor can be the best or worst factor when you are trying to sell your home – a poor real estate agent can make it far more difficult to sell or buy properties, and may make the experience far more costly for you. But how do you know when a real estate agent is being dishonest or unprofessional, and how can you get rid of them and find an agent that knows what they are doing? Here are the facts you need to know. How can you recognize a realtor who doesn’t have your best interests in mind? Here are several signs that your realtor relationship is in trouble. Omitting Important Details: A dishonest agent will often omit significant details when it comes to selling your house or purchasing a new home. They may not mention their own fees or commissions. They may ignore important title issues or problems with property, either to make a sale as quickly as possible or because they are poor at their jobs. Failure to Meet Contractual Obligations: The real estate agreement should lay out important ground rules and obligations for the realtor. Contracts should clearly define the role of the agent, negate any chances of fraud, and define what information the agent should provide. Failure to meet these simple obligations is a sign of a fraudulent or dishonest agent – and one that doesn’t even follow the guidelines of their own contract. Changing Your Asking Price Without Letting You Know: This is one of the worst things that a real estate agent can do. The seller should be in charge of the asking price and any counteroffer decisions as a matter of course. An agent who changes the asking price on their own just wants to make a sale as quickly as possible and has no interest in meeting seller requirements. Poor Communication: An agent that is difficult to get ahold of and doesn’t respond to emails or phone calls quickly or at all is a poor real estate agent. The quality of communication is also important: You don’t want a terse agent who does not tell you important details or leaves out information – like home showings or inspections – that leads to you getting caught by surprise. Disrespect and Negativity: A good real estate agent will also be respectful and positive. A poor or dishonest agent will often treat sellers and buyers as a waste of time. The problem with dishonest or incompetent realtors is that you may not know the mess you’ve gotten yourself into until it is too late. If you have signed a realtor agreement, you may not be able to simply switch to another realtor at the drop of a hat. This is why the first stages of the real estate agent process, when you pick a realtor and sign agreements, is so important. So, what should you look for in a realtor agreement? The most important safeguard is the cancellation clause. This is a clause in the contract that allows you to terminate the agreement, drop the agent, and find another. Typically the clause includes specific requirements or events that must be met for it to take effect, but some clauses allow sellers to drop an agent when they want. If you are worried about the cancellation clause, do not hesitate to ask your realtor about it. The response you get may tell you a lot about how that realtor conducts business! Typically a breach of contract is enough to invoke a cancellation clause – but what does a breach look like? This can vary based on location and the terms of the contract. 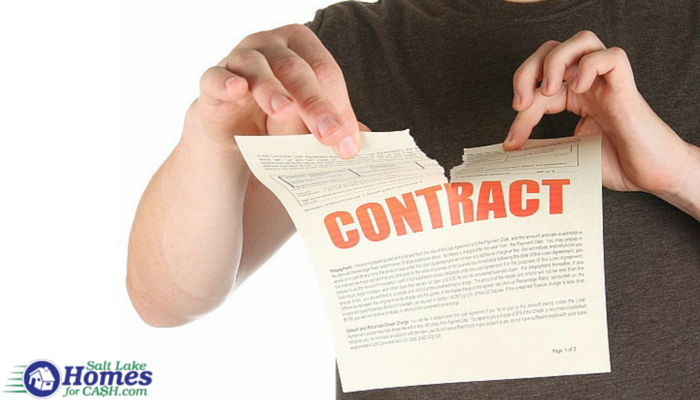 Typically, if the contract is not properly executed it can be terminated. This refers to specifics on counter offers, signatures, dates, and more. If you are unsure about your contract, you may want to consult an attorney that specializes in real estate law for specific advice. Also keep in mind that some agreements require termination fees for you to cancel the contract and find a new agent. The contract will specify how much these fees are, so don’t forget to find out how much a termination will cost you. If you are tried of dealing with untrustworthy agents or want to make a switch, contact us at Saltlakehomesforcash.com. We can offer advice on selling your home and show you how to make the process as fast and comfortable as possible. Short on time? Just fill out our online contact form and we’ll get back to you! Our economy is improving day by day, but the after-effects of 2008’s mortgage bubble are still being felt by many people. Every day people face the nightmare of foreclosure, damaged credit and difficulty buying a new home or car, or even maintaining a job. It is vital to know what to do and what not to do, should you fall behind on your mortgage. When you are behind on your mortgage, it can be tempting to dodge those collection calls. After all, you are embarrassed, and frankly if you had the money you would be paying. However, this is the worst thing you can do. If you talk to your lender, you might find they are calling to offer you options to get straight without the damaging effects of being behind. 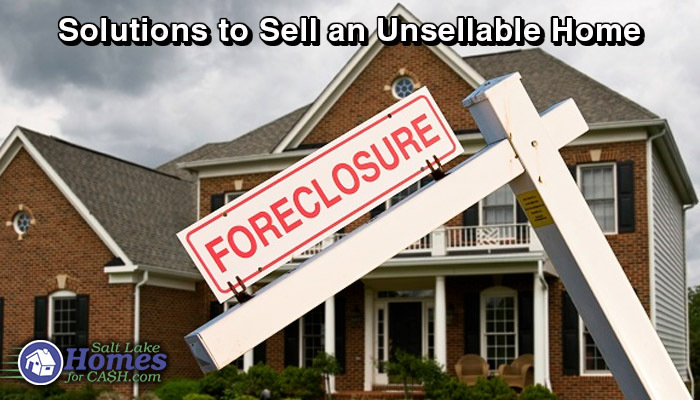 There are a lot of foreclosure scams out there that promise to fix all your problems if you sign your property over to a third party. Some claim this is a magic fix — that by handing over your house, you will no longer owe the money. Others promise to take over your payments. These claims are almost always scams. Never, ever sign your house over to a third party. 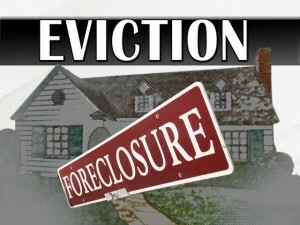 In fact, never let anyone take over your mortgage without express approval from your lender. Only your creditor has the ability to release you from liability, not a third-party miracle-working company. There are a ton of scams out there designed to steal homes from those who are in a mortgage crisis. Be wary and keep your guard up. If something seems too good to be true, it probably is. Do not be afraid to ask questions and do your homework. Paperwork can be blinding and scary, and for good reason. Contracts and agreements are often full of confusing legalese and are specifically designed to confuse the unwary. 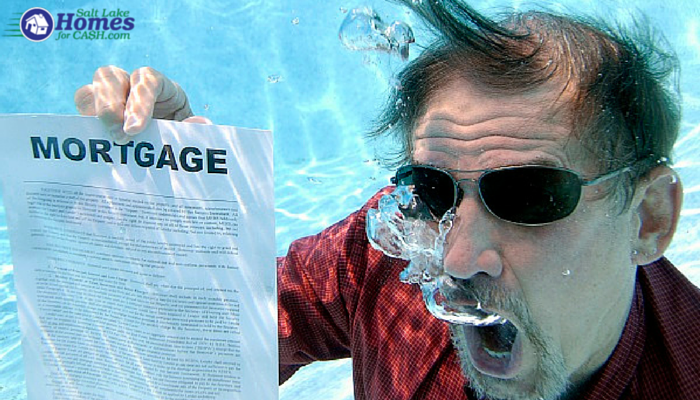 If you do not fully understand a document, don’t sign it! Never be afraid to have an own attorney or qualified real estate agent look over any paperwork. Question what you do not comprehend. Remember, ignorance is not a valid defense. Once you sign, a contract is binding. Many people do not realize this, but removing the copper pipe from your home to make a quick buck can be viewed as a crime if not done under the right circumstances, such as after a renovation. Never think that you can simply strip your house to pay a debt. You could end up facing jail time. Refinancing your home can be a great idea, but be careful it doesn’t get you further in trouble. Never, for example, refinance your home for more than it is currently worth, and never bow to pressure from a debt collector. Refinancing should be done because it is right for you, not because it is right for a collection agency. There are many counseling organizations approved by the United States Department of Housing and Urban Development (HUD), which can provide you with information and help concerning home ownership, including what to do if you have trouble paying your mortgage. You may be surprised to discover that there are options available to save the day. 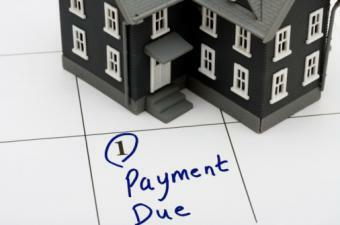 Many lenders will be willing to offer refinancing deals that can significantly lower your monthly payments. Compare the potential of refinance with the cost of your existing loans. If you can get a lower rate, and a longer repayment term, you might find you are right back in the black. Furthermore, your lender will look very favorably upon you for contacting them immediately and will be far more willing to work with you than if you avoid their calls. The simple dos and don’ts of mortgages basically involve playing it smart and straight. 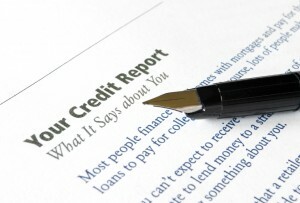 Avoid scams and pitfalls and work with your lender to get right. 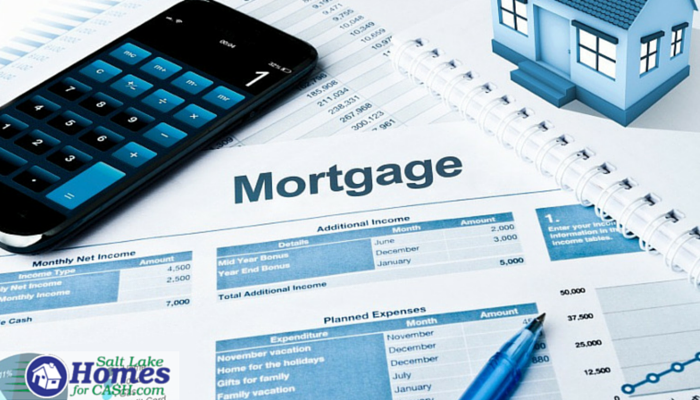 If you would like advice about dealing with your own mortgage problems, we can help. 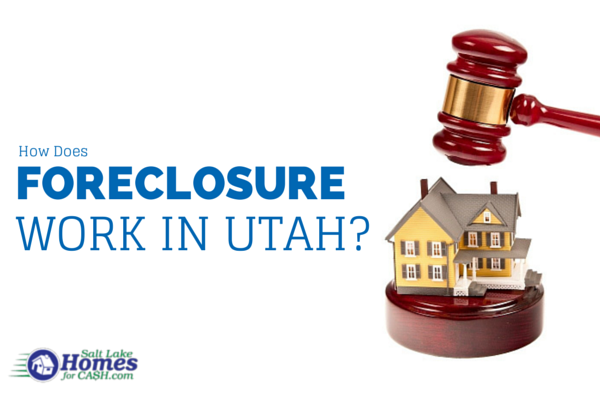 Contact Salt Lake Homes for Cash for more information today! Inherited House with My Siblings, What Are My Options? Inheriting a home with your siblings may seem like a great way to make some cash, but there are generally a high number of unanticipated difficulties and headaches to consider. All of you need to agree on what to do with the property, for example, or big issues and a lot of fighting can arise. What About Taxes on the Home Inheritance? There may be back taxes on the house, and these will need to be paid to ensure the county does not try to take the home or sell it for the taxes that are owed. Going forward, taxes will have to be paid every year. If all of the siblings own an equal share of the house, they should be paying equal shares of the taxes. Siblings who don’t want to do this (or can’t afford it), may want to sell their share to the other siblings so they aren’t obligated for anything related to the house any longer. If there are title problems or liens, those also have to be cleared up before the ownership of the house is actually transferred. Consider all your options, so you and your siblings can make the right choice for everyone involved. One of the choices you and your siblings can consider is renting the house out. If the rental market in your area is strong, this can be an excellent way to get some cash coming in. Of course, one of you will need to manage the property and do maintenance on it, or you’ll need to hire a property management company to handle those things for you. Screening tenants, handling evictions, and keeping the property ensured the right way are all very important, and they can be time-consuming and stressful. Unless all of the siblings are on board with renting the house out, it may be better to move on to a different choice everyone can be happy with. If you want to keep the house to rent, live in, or otherwise use in some way, you may be able to buy out your siblings. To do that, you would need to know the amount the house was worth, if there were any liens or back taxes on it, and the number of siblings to divide the sales price between. Then, you would offer your siblings this option. Provided they all agreed to having their portion bought out, you could pay them their shares and have the title transferred into your name only. Then you would own the house by yourself, and could do whatever you wanted to with it. However, not all your siblings might agree to the buyout, and that would mean the potential for a fight over ownership. 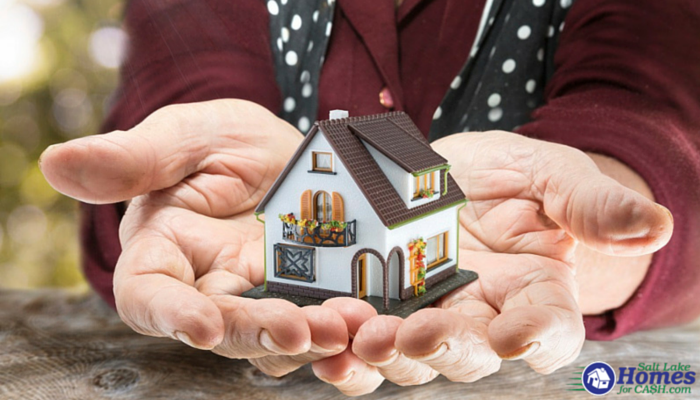 The probate process is often the best choice for a house that you’re inheriting with your siblings. It requires that the will be read, and that a judge determine who gets what. If the will was not created correctly, or if the person who owned the house died without a will, you may find that you’re not inheriting the home with your siblings the way you expected to. It’s better to have that knowledge before too many other decisions about the house are made. Often, siblings who inherit a house together just sell it. Then they split the money. There are many ways to sell, including selling to www.SaltLakeHomesForCash.com. When selling to a company that buys houses, you and your siblings will be given a cash offer. The price is fair, and the home can be sold and close much faster than would be seen with a traditional sale. That relieves all of you of the responsibility of managing the house and caring for it, allowing you to move on with your lives.